On this page, you will find explanations on some key itslearning terms that are probably unfamiliar to you as a developer. One of the basic building blocks in itslearning is the hierarchy formed by groups. The groups forming the hierarchy are sometimes referred to as "hierarchies". These groups form an organisational structure, as well as controlling access level for its members. Access levels for groups members are Admin, Teacher, Learner and Guest. Think of the hierarchy formed by groups as a hybrid of Active Directory OUs and security groups. SyncKeys are unique identifiers for persons, for hierarchy groups and for memberships in itslearning that are known to and managed by an external system. 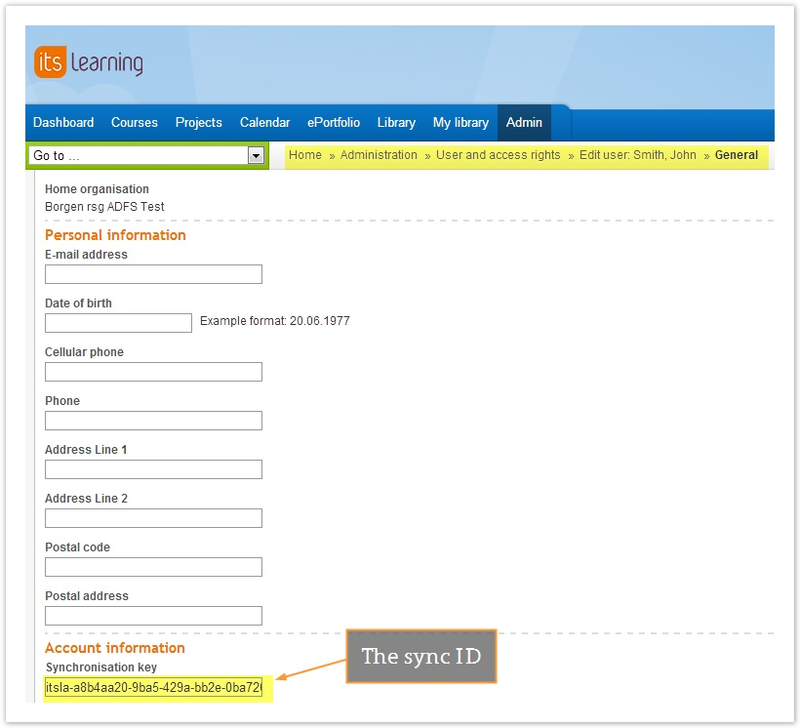 They are different from itslearning internal IDs, and are also known as synchronisation fields or sync keys. SyncKeys are sometimes also referred to as "SyncIDs". This means that if you have several IMS ES imports set up against one itslearning site, you must make sure that the synckey are unique across all imports set up for the site. In itslearning - when manually creating a person - the synchronisation key (synckey) for a person can be added – but is not mandatory. When creating a person through an import (e.g. IMS ES import), this field is required. The synckey is then the external unique identifier for a person and must be unique within a site. In itslearning - when manually creating a group - the synchronisation key (synckey or syncID for short) for a group is not possible to add manually. When creating a group through an import (e.g. IMS ES import), this field is required. The synckey is then the external unique identifier for a group and must be unique within a site. 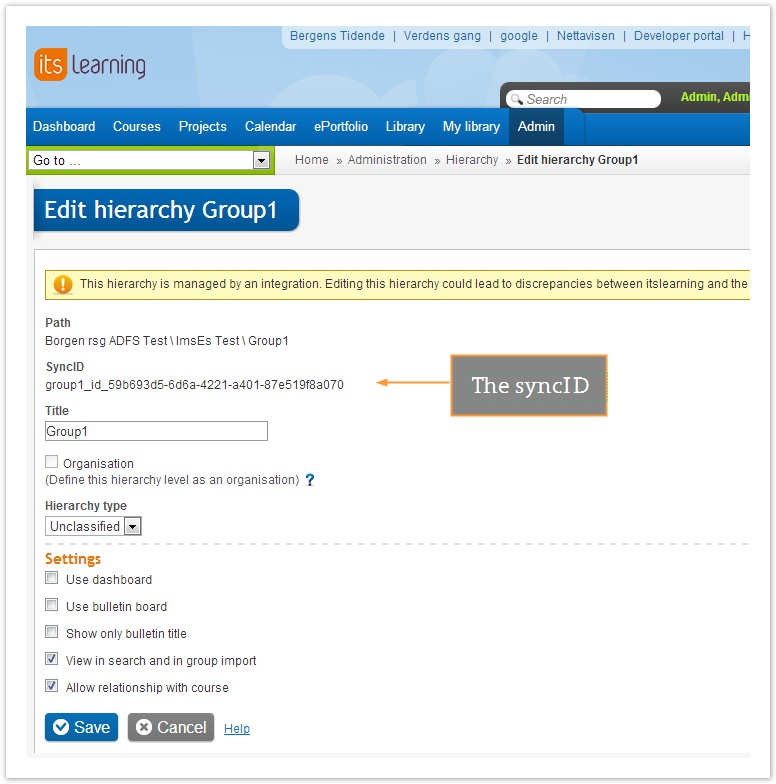 In itslearning - when manually creating a membership between a person and a hierarchy group - the synchronisation field for a membership is not possible to add manually. When creating a membership through an import (e.g. IMS ES import), this field is required. The synckey is then the external unique identifier for a membership and must be unique within a site. You are not able to see the synckey for a membership in itslearning UI.